Why is Swimming Pool Circulation, Turnover & Flow Rate Important? While most pool owners understand the need to clean and disinfect their pool, not as many truly understand the importance of circulation, flow rate, and turnover. Proper pool circulation is one of the keys to maintaining a healthy pool environment. Circulation helps your pool sanitation system, filter and chemical additives all function properly. Without the right circulation, your pool can encounter a number of problems. Why Should Your Pool Have Good Circulation? Circulation moves your pool water through the filter, removing particles and debris from the pool. This is important because, without proper filtration, impurities can build up resulting in a dirty pool. 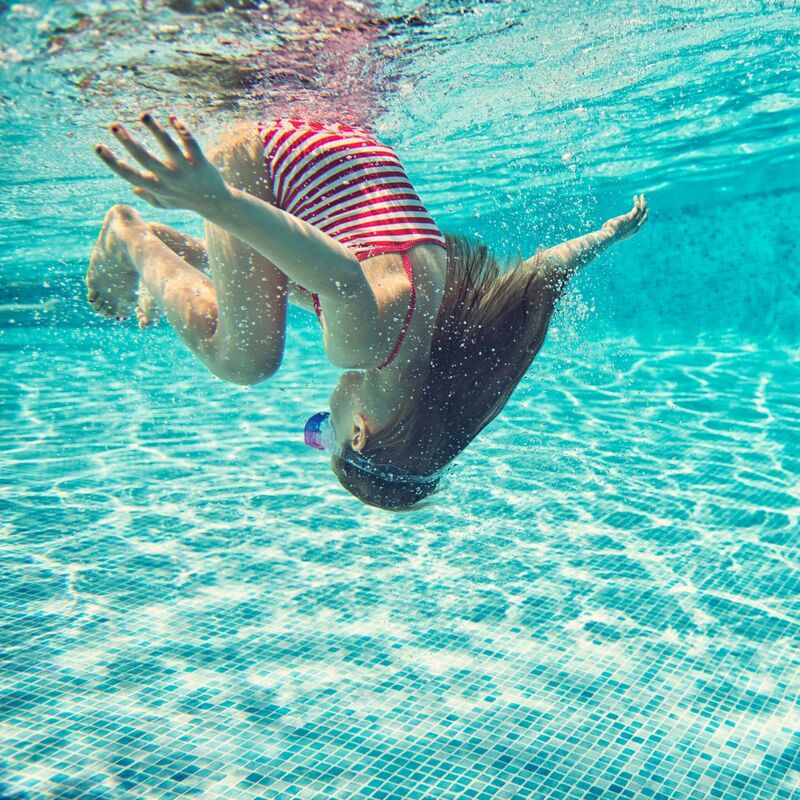 Proper filtration will not only mean fewer required chemicals to disinfect the pool water but it also means that swimmers can experience water with less irritation and chemical smell. Circulating your pool disperses any disinfectants in the pool, allowing them to sanitize all of your pool water. Without proper circulation, any chemicals you add will not be evenly distributed throughout the pool water and any additional sanitation system will not be able to disinfect your entire pool. Pool circulation is handled by your pump, which pulls in water and passes it through the filter. Buying a good pump is important if you want your pool to have the right circulation. Single-speed pumps tend to run at a higher speed than necessary, preventing your filter from working properly and consuming high amounts of energy. Invest in a variable-speed pump and run it at a lower setting that works for your pool, ideally for 24 hours a day. This will provide constant circulation, adequate turnover, and low energy consumption. In addition, variable-speed pumps have more efficient motors than traditional pumps and can be set to the exact speed your pool requires, potentially saving a significant amount in power costs. Turnover rate is the number of hours it takes for the total volume of the pool to pass through the filtration. According to the Gage-Bidwell Law of Dilution, water that is recirculated three to four times per day, or every six to eight hours, will achieve 95 to 98 percent dilution of contaminated pool water with water that has been filtered and disinfected. This essentially means that for your pool water to be adequately disinfected and filtered, the entire volume of water needs to pass through the filter and sanitation system at least three to four times per day. In order to do this, you will need to set your pool pump at the correct flow rate for the size of your pool. In order to ensure proper circulation and optimize your pump speed for the size of your pool, you have to determine the proper flow rate for your pool. You find the right flow rate for your pool by calculating its capacity in gallons. Then, divide that number by your desired turnover rate, ideally six to eight hours. Divide that answer by 60 to find the minimum gallons per minute, or GPM, flow rate required to achieve the desired turnover rate. For 2-inch piping, the maximum flow rate will be about 73 GPM, and for 1.5-inch piping, the maximum flow rate will be about 42 GPM. Talk to your pool service professional to determine what a healthy flow rate is for your pool. After the water passes through the filter, it’s pushed back into your pool through return jets, which are the little holes on the walls of your pool. Make sure your return jet is set in the right direction to circulate the water in your pool. To do this, point the jet to the opposite side of your skimmer and downwards, creating a spin effect – this will create better circulation in your pool. Dead areas, also referred to as dead spots, are the places in your pool that have poor circulation. These dead areas can be near your pool steps, behind ladders, beneath the skimmers, in cracks and crevices. Brush these areas in your pool weekly to break up any contaminants and disperse them into the water, allowing them to circulate to the filter. Poor circulation can prevent your pool from properly filtering and disinfecting contaminants, so it is crucial that you take steps to ensure your pool is well circulated. You can have the best sanitation system and filter in the world, but if your pool does not have proper circulation it will not stay clean. For example, when reducing chemical use with an AOP system or other additional sanitation, make sure you use a variable-speed pump operating at an optimized flow rate for 24 hours a day during the pool season in order to maintain a healthy and clean pool at all times. A well-circulated pool requires fewer chemicals, less disinfection, and will be much healthier and more fun to swim in. Clear Comfort Announces APSP CE Credit Course, Chlorine-Free: Is It For Me?